Android Q probably won’t be released in stable form until August, if Google keeps to previous schedules, but we could see the first developer preview of it in March. Should that happen, there is a good chance that Google hypes the version’s focus on security and privacy. After yesterday’s leak of an early Android Q build gave us an initial overview of what Google might include, we now have a video tour that really dives into the most important pieces. We get to see the system-level dark mode and subtle UI tweaks, but the change that stuck out the most to me is without a doubt the new permissions controls. 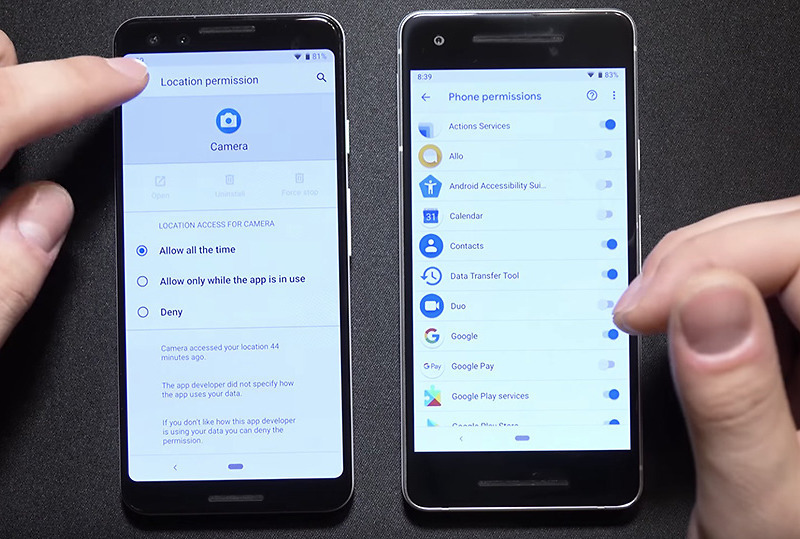 As you’ll see in the video below from XDA, the new permissions settings give you a better layout to see exactly which permissions an app is attempting to access. As we discussed yesterday, Q also lets you tell an app that it can access permissions all times or only when active, a major improvement for those not wanting apps doing anything in the background when they don’t know it. In addition to those changes, when a permission is being used on your phone running Android Q, a new statusbar icon shows up. That new statusbar icon for each permission being used can be tapped to then reveal which apps are using it. So when you see the location icon or camera icon appear, you can tap a button to see which apps are using them. That’s a huge change. While a lot of this can change or be left out by Google, since this is a hella-early Android Q build, it’s clear that the permissions change is going to be a major focus. Be sure to watch the video below to get the full experience there.